I was born in Tel-Aviv to, Israel, where I went to public elementary (Dugma) and high school (Ironi Hey – yb1, yb2 ). 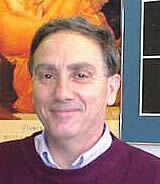 An early inspiration in high school was Dr. Mario Livio, now an internationally renowned astrophysicist and popular science author, but back then, he was my physics and home-room teacher, and he taught us all about the beauty of physics, math, art, philosophy and how they are all related. After spending 3 years in the Israeli Army, I went on to earn a B.Sc. degree in Computer Science and Electrical Engineering at the Technion (Israel Institute of Technology). After my graduation in 1984, I spent two years working for Motorola’s Semiconductor Division in Israel where I worked on the design and implementation of several VLSI chips including: the MC68824 Token Bus Controller and the MC56000 Signal Processing chip. I became interested in advanced methods of simulating the logical and electrical properties of these chips prior to fabrication and this led me to become an expert in the somewhat esoteric field of “Switch Level Simulation”, an area of research pioneered by Prof. Randy Bryant at Carnegie-Mellon University. You can see a list of my Electrical Engineering and Computer Science Publications on this topic and others. 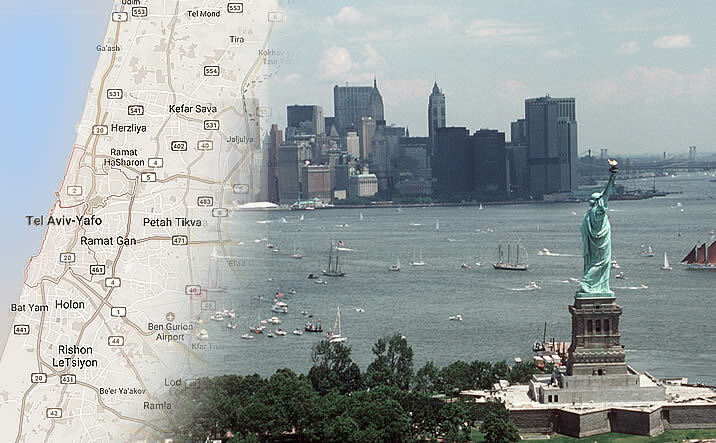 In 1986, I moved to New York City to work for Silicon Design Labs (SDL) – a startup founded by members of AT&T Bell Labs in the then groundbreaking field of Silicon Compilation: the automation of the chip design and verification process . A year later, SDL merged with another pioneering company in this field: Silicon Compilers Inc., to form Silicon Compiler Systems (SCS). SCS developed the most comprehensive Computer-Aided-Design (CAD) software for designing and verifying custom chips on an early SUN computer workstation. I was fortunate to be part of the small team that created Lsim, a unified mixed-mode digital/analog simulation environment that preceded VHDL. In 1991, I earned my Master’s Degree at the Center for Advanced Information Processing (CAIP), Rutgers University, under Prof. Michael Bushnell. Later that year, SCS was acquired by Mentor Graphics and at that point I left the area of CAD for VLSI and moved on to work at some of the top Wall-Street Hedge Funds, Software Start-ups and Investment Banks. In 1999, when I was “between jobs”, I developed an open source software project called The JACOB Project (a Java-COM Bridge). For people outside the field of computer programming, these terms have no meaning, but for programmers trying to utilize Microsoft COM technologies such as Office Excel and Word in conjunction with the Java Programming Language – this filled a great need, especially after Microsoft discontinued its Java development effort. There were a number of commercial solutions, but JACOB became the de-facto standard in this area for open-source community. The JACOB software has been downloaded and used by hundreds of thousands of programmers world-wide and many others have contributed code to the project. It was a unique experience for me, truly a global “programming jam session”! Once I made the licensing free, the software was also bundled into major corporations’ software offerings, including Oracle’s WebUtil. In 2004, I became too busy to support the project on my own, and I transferred ownership to the open community at SourceForge.net where a number of other developers have taken ownership of the project. My interest in guitar started in 4th grade when my mother, after 2 years of failed piano lessons, bought me a guitar and signed me up for lessons. 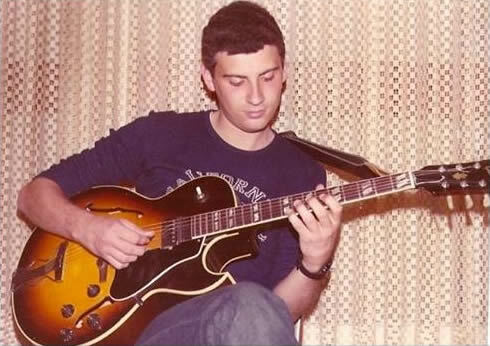 I started out learning the popular Israeli songs of the day and some holiday songs, but soon moved on to jamming with friends and eventually drifted into playing rock. I became a big fan of the Israeli group Kaveret and then moved on to more progressive rock and became a fan of the group “Yes” and was especially fascinated by Steve Howe’s playing. The group “SnowBall”, which I formed with my friends Miran Epstein, Eran Gafni, David Graves, Roni Epstein and Kobi Bletter, performed original music in the prog-rock style. When I started high school, the guitar teacher at the musical conservatory where I was studying, was replaced by Avry Sharon. 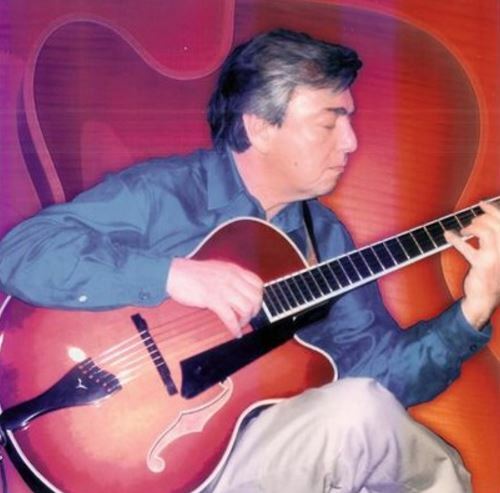 Avry was a jazz guitarist who had spent many years in New York and had studied with Jim Hall and Chuck Wayne. I had no idea what jazz music was and had no interest in it, but as I was getting more interested in some of the jazz/rock idioms of Santana and Mahavishnu, Avry took every opportunity to teach me all about modes and harmony and all the wonderful things that eventually captured my imagination and converted me into a 100% jazz fan. Access to jazz recordings was extremely limited in those days in Israel, but luckily Avry happened to be the head of Jazz programming at Israel’s premier radio station, so within a year or two I had pretty much soaked up the entire history of jazz and more specifically, jazz guitar. When I was in high school, I would go hang out at Bar-Barim, the only jazz club in Israel in those days. I would hear Danny Gotfried, Eli Magen, PC (a great vibes player whose full name I don’t know), Aron Kaminsky, Peter Wertheimer, Nachum Pereferkovich, Albert Piamenta, Ilan Mochiach and all the great Israeli players of those days. As I got better, they let me sit in, and eventually I got to gig with them. There were a bunch of other great young players around then including Amikam Kimelman, Arnon Palty, Ronen Raban, Roni Ben Hur, Yossi Levi, Guri Agmon, Rami Levin, Gil Ladin, Chaim Cotton, Avi Adrian, Miran Epstein and lots more, and we were all gigging and trying to learn jazz from each other. Many of these players later became well known in Israel as founders and senior faculty of the Rimon school and some, like Roni Ben Hur and Mordy Ferber, made their musical career here in New York. Another Israeli player that had a profound influence on me is Gil Dor. Gil now has an international reputation as the guitar player and musical director of Israeli singing sensation Noa. At the time we met, he was just back to Israel from an extended stay in Boston (Berklee) and New York where he studied with Jack Wilkins. I was a huge Jack Wilkins fan back then (as I am now!) and so we immediately found a common musical language. I studied music, harmony and composition with Gili while we played jazz duets and gigged in unlikely places like Kibbutz community centers all over Israel. I also studied with Menachem Wiesenberg and Nachum Pereferkovich – two fantastic musicians and pianists. In the early 80’s great sax legend Steve Grossman came to Israel, and somehow he got interested in my playing. I was lucky enough to play and study with him and that was a huge inspiration to me. When I first met him, I expected to hear a continuation of the style he played with Elvin Jones and Dave Liebman on “The Lighthouse” album which I revered. However, by then, he was completely off that post-Coltrane direction, and all he wanted to play was bebop. It was a huge boost to know that one of the giants of modern saxophone doesn’t view bebop as “yesterday’s music”, especially in the 80’s when any form of jazz was considered anachronistic. When I moved to the U.S., I was able to study and play with many of my idols including Peter Sprague, Jack Wilkins, Vic Juris, Rick Stone, Joshua Breakstone, Satoshi Inoue, Peter Bernstein, Richard Boukas, Rodney Jones, Paul Bollenback, as well as saxophone legend Bob Berg up to his tragic death in 2002. There is a recording from one of our sessions together on my sound clips page. 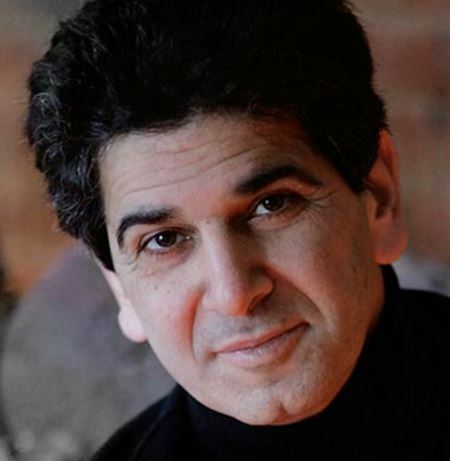 I have also played intimate duo gigs with many singers such as Daniella and Marcus Goldhaber, and with many pianists, bassists and guitar players all over New York. I continue to strive to improve my mastery of jazz composition and improvisation by playing and learning from all the masters that surround me in the great city of New York. I live in New York City with my wife and three daughters and travel to Israel as often as I can to visit my sister, my extended family and friends, and to connect with the memory of my parents. Check out my recent trip to Poland (March of the Living 2011).